Ready & Steady… 'Til He Comes! Israel has been, and seemingly will endlessly continue to be, criticized and attacked in the media for at times using its military might to enforce its borders, protect its people and ensure the continued peace throughout the Middle East. But the Liberal agenda seeks to discredit and destroy their credibility, reputation – and of course, some wishing to destroy Israel herself. We believe Israel has a right to might. But does She really? On July 13, 2013, the Süddeutsche Zeitung or South German Daily, the most-read daily broadsheet in Germany (2014 circulation: 418,000), published a review of the 2012 book by Peter Beinart, The Crisis of Zionism. Beinart, a liberal Jewish professor and journalist known for his critical stance on Israel’s treatment of Palestinians, once called in the New York Times for a boycott on Israeli settlement products and warned that Israel’s polices in regards to the Palestinians were creating an ever-growing rift between the US’s liberal Jewish community and Israel. Did your eyes glaze over before you finished that last sentence? So did ours. Germany is serving. For decades now, Israel has been given weapons, and partly free of charge. Israel’s enemies think it is a ravenous Moloch. Peter Beinart deplores this situation. Moloch (also known as Molech in the King James Version, or Molek in the New International Version of the Bible) is the name of an ancient Ammonite god, whose worship was practiced by Canaanites, Phoenicians and related cultures in North Africa. Leviticius 18:21, 20:2-5; 2 Kings 23:10 and Jeremiah 32:35 warned Israel that they must not “let any of thy seed pass through the fire to Molech/Molek”. Yes dear reader, it seems that Molech/Moloch/Molek worship involved sacrificing children by throwing them in a fire. Readers found the illustration of a Moloch with horns waiting for breakfast in bed as anti-Semitic. The Süddeutsche Zeitung added that it regrets the misunderstandings surrounding the publication of the cartoon and it was a mistake to have published the drawing in this context. Please note, dear reader, that the broadsheet isn’t responsible for what they said. No no, dumb-dumbs, this is all your fault. You are apparently responsible for misinterpreting what they depicted and stated, even though the cartoon was pretty clear and in full color. There were even some words with the pictures that the few literate amongst the unwashed masses must have misconstrued too – you are even bigger DUMB-DUMBS. Of course, the paper doesn’t develop any further how the “misunderstandings” could have become so universally accepted – to the point where we all shared a momentary global psychosis. Apparently, there are a LOT of dumb-dumbs out there. Thank God the liberal media is here to help set us dumb-dumbs straight. This cartoon was taking a swipe at the German government for their various weapons sales to the “child-sacrificing Moloch”, Israel. 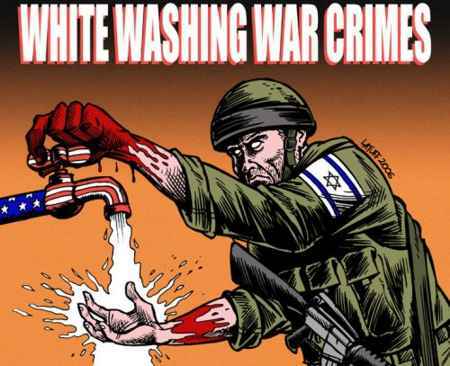 To be sure, most of the western democracies, including the United States, Canada, Australia, the United Kingdom, France, and India all sell weapons to the Israeli army, and the western media is dumb-founded by it. These are monsters, after all, are they not? Are we not aiding and abetting criminals in the Middle East? Is Israel not in fact this “ravenous Moloch” that the cartoon depicted? Are we so upset about it, because deep down we feel guilty about supporting them this way? We are after all constantly bombarded with videos and photos of burned-out hospitals; modern Israeli tanks aiming their barrels at teenage Palestinian boys throwing stones; Israeli soldiers portrayed as cruel, evil tyrants: and body bags, body bags, body bags. They could be filled with rocks, but they are everywhere in Israel. The world sees these images, shakes their collective, ill-informed (thanks to the Western/liberal media) heads, and clucks their motherly tongues – as well-coiffed, well-heeled, and overpaid news anchors (who lately can’t seem to tell the truth about their own lives, not to mention someone else’s (cough – Brian Williams – cough) spit out vitriolic filth about Israel with such poise and grace, you just have to believe it’s true. They clearly choose to innocently see only one side of the equation? Not a chance. These are not stupid people – they are all well-educated. Possibly that’s the problem – too well-educated, in western Universities that preach the same slanderous garbage. And the circle of journalistic life continues. Let us be clear – these attacks on Israel by the western media are an intentional public relations smear campaign against the government and people of Israel by an anti-Semitic, anti-Jewish, anti-Zionistic liberal media. Period. At this point in this posting, we believe it’s important to clearly spell out the position of Calling Out Community on this subject. Israel has every right to exist in the body of nations. It has every right to defend it’s people against enemy aggression, no matter what form that aggression takes. It has every right to ensure the stability of the region around it whenever possible, for reasons of self-preservation and national defense (as long as that does not mean needless aggression itself). It does not need permission from any national or international body for the protection of its own people against hostile forces either inside or outside its geographic borders. Period. Our society has become soft, spoiled – a weak silhouette of the generation that saw us through to victory in World War II. Without question, that previous generation saw things from a very different worldview, including their own individual and national positions in that world. While they were every bit as sensitive, self-actualizing and loving of their fellow man as we are today (and even arguably more so than we today), they also had the stomach to handle significant national and international events, no matter how tragic, without the pitiful hand-wringing, second-guessing and beating of the chests that we see today. It was their fiery resolve, and their gaze firmly affixed on the goal of absolute victory in World War II, for example, no matter what the cost, that led them through to that final outcome. Let’s take a look at one such event, and how it was interpreted at that time. Perhaps from this, we can smell out some of the media bias today, and react accordingly. No other Allied military operation during World War II was as controversial or contentious as the one conducted on the “Florence on the Elbe” (Elbflorenz) – the city of Dresden, Germany. Dresden was over 700 years old, having been a major player in the Holy Roman Empire (a vast network of over 300 territories that covered all of modern-day Germany, Italy, parts of Russia and beyond) for centuries as the capital of Saxony, one of the Empire’s major realms. Dresden was also home to the Electors of the Holy Roman Empire – who would meet together and choose which Emperor ruled next after the last one had died – much like the College of Cardinals does with the Pope today. Dresden was, for all intents and purposes, the very heart of the Holy Roman Empire, the “First Reich” (or First Empire/Government) which lasted for over 1,000 years – when Charlemagne was crowned its first Emperor in A.D. 800, the Empire’s defeat by Napoleon in 1806, and its resulting dissolution. 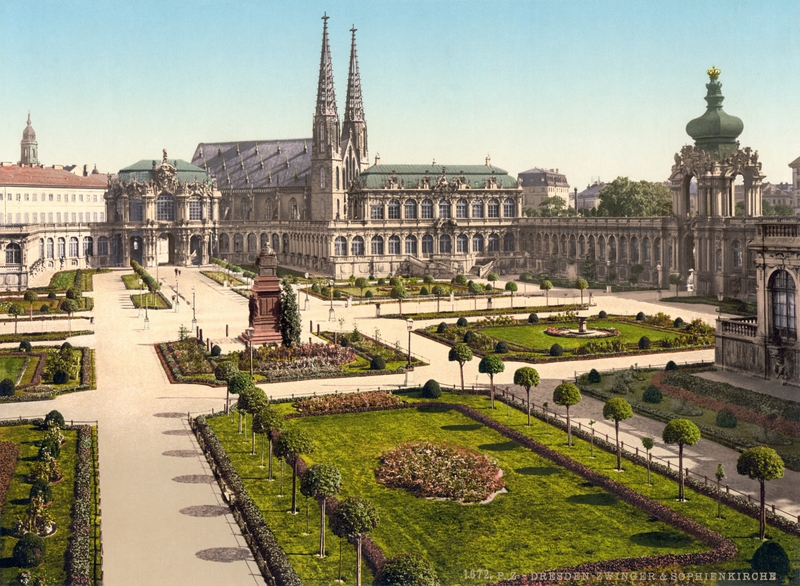 The French then created the new Kingdom of Saxony, with Dresden as its royal capital city – a status it held through to the end of the “Second Reich“, the German Empire – created in 1871 by the reunification of Germany and dissolved after the Second Reich’s defeat in 1918 at the end of World War I. The Semperoper opera house at night in Dresden, restored today to its original glory. Photo Credit: Helen Dittrich. Now, you could be forgiven for not being aware of the cultural and architectural wonders of Dresden, or the powerful influence that it held to European history for over 700 years. Perhaps you even asked yourself why you didn’t seem to know much about the city at all? The answer is simple, dear readers – because on the nights of February 12-15, 1945, the history of Dresden was rewritten forever. Late in 1944 and early into 1945, the city of Dresden had swelled to nearly 1.2 million residents, as a flood of nearly 600,00 refugees were escaping the advancing Red Army (only 60 miles away to the East) with stories of unbelievable atrocities committed by the Russians on ordinary Germans. This was the same Russia, you will recall, that had lost nearly 25 million citizens at the hands of the Nazis when it invaded Russia in 1941. 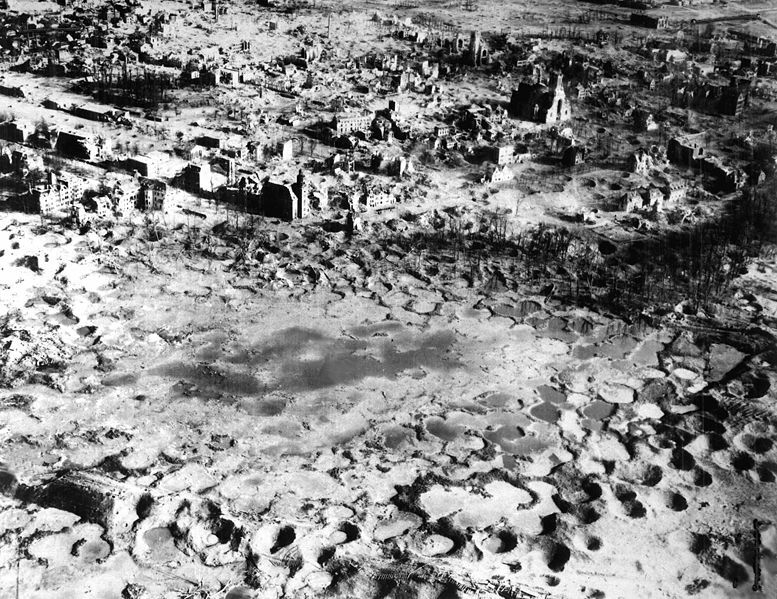 As the city slept the night of February 12, 1945, 722 British Royal Air Force (RAF) heavy bombers, as well as 527 from the United States Army Air Forces (USAAF), began to drop what later totalled over 3,900 tons of high-explosive bombs and incendiary devices on the city of Dresden – nearly 700,000 phosphorus bombs alone. What happened next was horrific – as the temperature rose in the city to over 1,100F and winds of up to 100 mph developed, a firestorm developed that destroyed over 1,600 acres (6.5 km2) of the city centre, and killed between 22,000 and 26,000 residents. The wind grew so strong it literally pulled people into the fire, lifted roofs off houses, and uprooted trees. Nearly every historic building was either partially or completely destroyed. 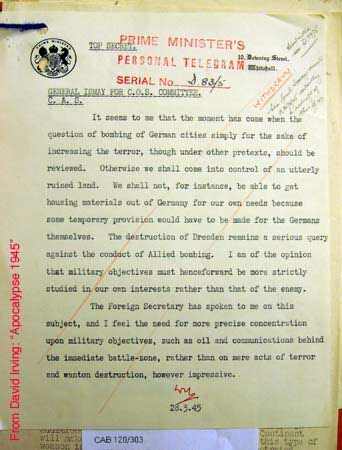 In a memo from Churchill to Bomber Command, he urges them, after the Dresden bombing, to simply focus more on military targets. The Nazi government reported that nearly 200,000 people had been killed, which was countered by many subsequent reports, including one commissioned by the Dresden Historical Commission in 2010, that the number was more likely 20,000-25,000. Regardless, critics have since stated it was an unnecessary destruction of civilian property, at a time when the war was nearly over. Yet there was no second-guessing at that time by the news media – just a mere reporting of the facts. There was little hand-wringing by politicians on either side of the floor – in fact, in a March 28, 1945 letter written by Winston Churchill to Bomber Command, he downplays the bombing, and tells the leadership to simply have “more precise concentration upon military objectives” in future bombing campaigns. They understood that there were consequences for a country that both started World War II in 1939, and allowed it to continue for 6 years. The people of London had been bombed mercilessly in the Blitz for years as well, and nearly 50 million people around the world lay dead as a result of the War – most being mere citizens. We also think of the hilltop monastery and church at Monte Cassino in Italy, which had stood in that same location for nearly 1000 years. During the Battle of Monte Cassino (January–May 1944) the Abbey made up one section of the 161-kilometre (100-mile) Gustav Line, a German defensive line designed to hold the Allied troops from advancing any further into Italy, overlooking Highway 6 and blocking the path to Rome. On 15 February 1944, the abbey was almost completely destroyed in a series of heavy American-led air raids. The bombing was conducted because many reports from troops on the ground suggested that Germans were occupying the monastery, and it was considered a key observational post by all those who were fighting in the field. However, during the bombing, no Germans were present in the abbey. In a rather large puff of smoke, 1,000 years of history was gone. Yet our generals did not hesitate to do what was necessary to protect our troops and smash German resistance. As calloused as it may sound, no one in 1945 would even think twice about lighting up a hospital, a school, or a church full of nuns, babies and puppies if required – if it was also full of enemy combatants firing at their families. Fast forward to 2014, with people clucking their tongues at the nation of Israel and say, “how dare they bomb a hospital/school/mosque (etc. ).” It’s so easy in North America to be a dumbass, leftwing, soul-less armchair critic of Israel’s self-defense activities. Most of those critics didn’t face the Holocaust, nor watch every member of their family be gassed and cremated, leaving behind the guilty living. Most of those critics don’t face worldwide discrimination against them just for being alive, as the Jews experienced after 1945, when no nation including Canada and the US would have them. They were forced to flee the horrors of Nazi Europe, then were forced to go to Palestine when no other country would take them in after the war – a country, incidentally, surrounded by 16 enemy combatant Arab nations. Most of those critics didn’t face an army of one million Islamic soldiers coming at them, and few if any weapons to defend themselves with, AFTER the Holocaust. This didn’t happen once, not twice, but THREE times in the last 60 years (1948, 1967, and 1973). Today, most of those critics don’t face a 16-nation group of countries (the Arab League), with a combined army of millions of troops, that hate Jewish EXISTENCE with every fibre of their being; and a United Nations that doesn’t give a damn WHO shoots at Israel, as long as they don’t shoot back. Yet, Israel’s defence budget is not an obscene amount of money – and in fact, is not even keeping with this enemy neighbours. In 2013, Israel was reported to have spent about $18.2 billion US on defense, approximately 6% of their gross domestic product (GDP). Fueled and financed by incredible wealth in oil revenues, Saudi Arabia, just one of the 16 Arab nations allied against Israel, spent $59.6 billion (8% GDP) alone in that same year, and Iran, another enemy nation nearby, spent only slightly less than Israel, at $17.7 billion (4% GDP). The United Arab Emirate spent another $19.0 billion (4.7% GDP). In contrast, Germany, which after World War II is by international law to have only defense forces, spent over $44 billion on that alone, though they have few if any threats against them in the region. And in that same period, Japan, under the same restrictions, spent $51 billion. 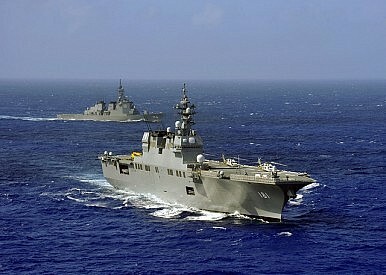 Japan unveils its new “helicopter destroyer” on August 7, 2013 – which looks suspiciously like an aircraft carrier. Japan also shocked the world on August 7, 2013, when it announced it had unveiled its long-awaited Izumo-class helicopter destroyer (22DDH-class destroyer). At 250 meters (820 feet) long, and reportedly displacing 24,000 tons, the ship can carry 14 helicopters. It is the largest warship Japan has fielded since WWII, and about 50 percent bigger (in terms of displacement) than Japan’s current largest ship, the Hyuga-class helicopter destroyer. The rest of the world just looked at each other and blinked – as Japan’s new ship looked very oddly like an AIRCRAFT CARRIER, which their own pacifist constitution would seemingly prohibit it from operating. And the world said what? NOTHING. So many North Americans seem to think the world is as civil as we are – but how quickly we have forgotten September 11, when we faced an enemy for the first time in our generation who hated us so much just for being alive, that they spared no expense to attempt to destroy us, our families and our way of life. Facing true evil is something few of us will ever experience. You should be thanking God out loud right now. Knowing now that a wide-scale invasion of Israel by their own national armies would be unacceptable, Islamic states now sponsor terrorist groups such as the Palestinian Liberation Organization, ISIS / ISIL, Al Qaeda, Hamas, Boko Haram, Dash, the Muslim Brotherhood and others who’s sworn purpose has been their total destruction, even if it meant sacrificing their own people to do so. And in 2014, no one else on Earth will face an enemy of baseless, faceless cowards living next door who fire THOUSANDS OF ROCKETS at their families. Those same cowards then hide behind their wives and children (and often use them as human shields) in public facilities like hospitals, schools, and mosques. 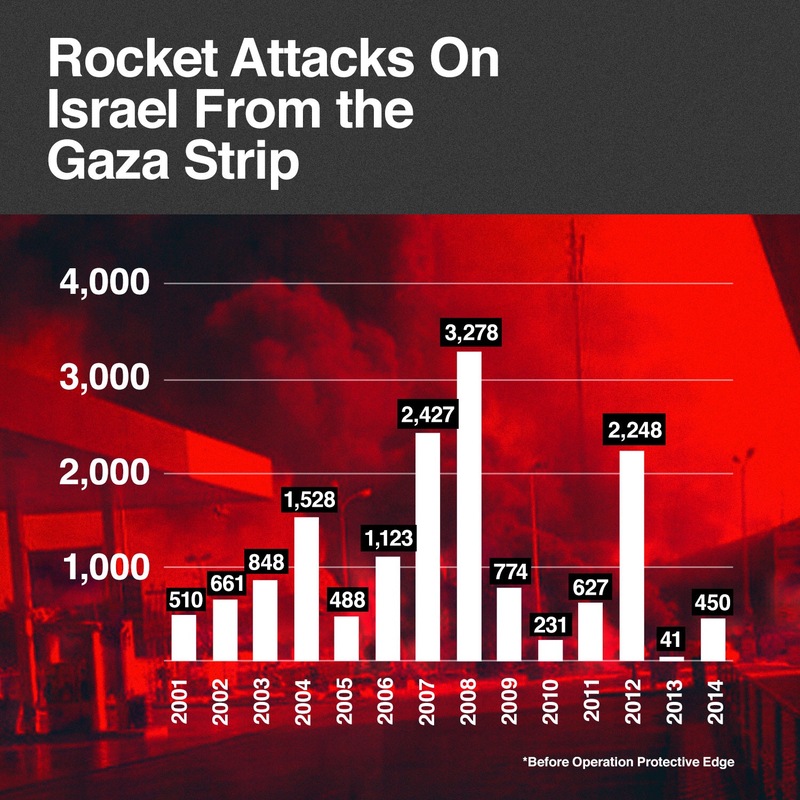 In fact, since Israel withdrew from the Gaza Strip in 2005, terrorists have fired more than 11,000 rockets into Israel. Over 5 million Israelis are currently living under threat of rocket attacks. Faced with the possible annihilation of your own family at the hands of such barbarians, how far would YOU go to protect your family? Thinking as a nation, if Canada were threatened by thousands of rockets fired on us, how much money would we spend on weapons? Is any amount too great? How well trained and equipped would you expect our troops to be? Pacifism is a laudable goal – but true pacificism only works when you can completely trust the other side to not take advantage of the moment and strike. If you lay down your weapons of self defense, you are the only one who potentially loses everything. Israel declared ceasefires on several occasions and their silence was met by gunfire from Hamas. Israel didn’t even start this current conflict, Hamas did and they seem to be vowing to continue no matter what he price – but it is the Palestinian people, but these armed thugs, who are paying that price. That doesn’t sound like a clan of monsters to anyone paying attention. Sounds more like self-defense. And Israel faces an Arab people who are even willing to drag their own children to the roofs of those same targeted buildings, to defy Israel to do something, as was seen in 2006, when Palestinians used human shields on the roof of a suspected militant’s home. As with any military operation – Dresden, Germany or Monte Cassino, Italy or the West Bank – risk assessments are completed and a decision is made. Don’t fault the one who has to pull the trigger to defend his family – fault the one who causes the threat in the first place. To state that Israel has no right to clamp down on such brutal attacks against them is open, naked anti-Semitism. Period. Posted July 1, 2016. Updated April 27, 2017. ©2014-2017 Calling Out Community A founding member of the Calling Out Community, ISRAEL FOREVER will take you behind the scenes in the State of Israel - bringing you the stories you might not otherwise hear. Israel is God's timeclock - knowing her is knowing God's future plans for us! © 2014-2019 Calling Out Community and CallOut Films – a counter-culture collective of Christian conservatives utilizing every social media tool possible to communicate the truths about God, His created universe and mankind that the Devil and liberal Left individuals, corporations, governments and mainstream media outlets don’t want you to hear. ©2014-2019 Calling Out Community / CallOut Films. Ready and Steady... ‘Til He Comes™ Shawn Jorgensen is Founding Editor and Senior Producer of the Calling Out Community and CallOut Films - a counter-culture collective of Christian conservatives utilizing every social media tool possible to communicate the truths about God, His created universe and mankind that the Devil and liberal Left individuals, corporations, governments and mainstream media outlets don’t want you to hear. Israel Is Going…To The Moon! 40 Million Russians Conduct Emergency Drills – WHY? Day 7b – Something’s Fishy In Boston! Day 6a – NBC Today in Boston!